Wind power isn’t a serious energy source, it’s a serious joke. In the absence of massive subsidies, the wind industry wouldn’t exist. Battling to deliver part-time power, it’s been a full-time failure. Self-combusting, throwing 10 tonne blades to the four winds and dropping their 300 tonne hulks earthwards is just what these things do. But, then again, they were never designed to generate power; their principal purpose is to harvest subsidies. Which probably explains why brand-new turbines keep falling apart. 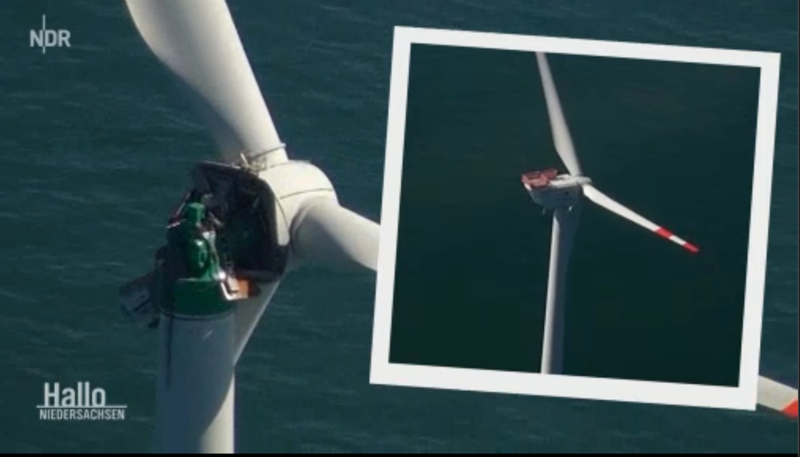 “Massive Damage”…Large-Scale Engineering Debacle Threatens As North Sea Wind Turbine Breaks Apart! 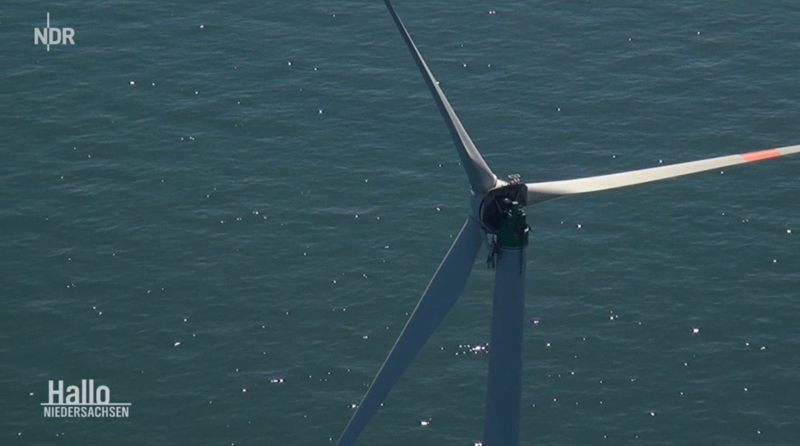 NDR German public television reported on the damaged Adwen M5000 turbine at the 60MW Alpha Ventus offshore North Sea wind farm off the northern coast of Germany. The report was broadcast on 26 April and shows a missing turbine generator unit housing. Due to unknown reasons, the 3.5-tonne housing unit protecting the generator came undone and plunged some 90 meters into the sea. As a consequence, Bremerhaven-based turbine manufacturer Adwen has suspended operation the 5-MW fleet in the German North Sea. Technical crews are not even allowed near them until further notice – that includes 120 other turbines at two other wind parks. The Alpha Ventus wind park is operated by energy producer EWE, which pegs the financial losses resulting from the damage at 40,000 euros daily. Wind industry group WAB director Andreas Wellbrock said the housing ripped away earlier this month. When shown images of the damage by an NDR reporter, Wellbrock was speechless, stating it was something he had never seen before. The turbines had been inspected 2 years earlier, and approved for further operation. The technical failure is yet the latest setback in a series of technical woes that have hampered offshore North Sea wind energy production, and threatens to turn the entire offshore project into a multi-billion euro engineering debacle. Experts from manufacturer Adwen are also randomly inspecting 80 turbines operating at Global Tech 1 to determine if there are indications for similar risks. The Global Tech 1 turbines are not the same as the Alpha Ventus unit, but a “further development”. Renews.biz reports that also Trianel’s Borkum West 2.1 offshore wind farm is offline due to DolWin 1 grid hub maintenance works by TSO TenneT. 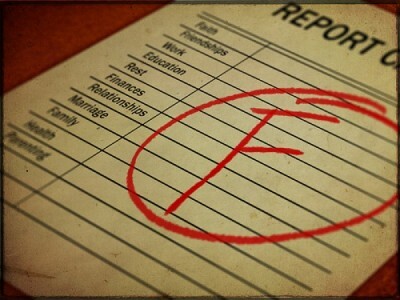 Mad rush to go green contributed to failure? When the pioneering Alpha Ventus wind park was put into operation in 2010, expectations were high, the NDR reports. Geologist Manfred Zeiler of the federal office for Seafaring and Hydrography implied that there was considerable pressure to get the “prototype” wind park into operation. But, the NDR reports that today policymakers “don’t want to hear anything” about pressure having been applied to get the park up and running back then. The offshore turbines were designed for a lifetime of 20 years, but already the first has failed after just eight years. This may indicate that all the turbines of this type may be inadequate. In the NDR report, policymakers — such as Olaf Lies — place the blame on wind park investors. The North Sea is notorious for its extremely harsh conditions, and many speculate that the turbines may have been under-designed. The NDR ends its report: “Perhaps the forces of nature were underestimated”. If the forces of nature indeed were underestimated, meaning hundreds of offshore turbines already installed are technically inadequate, then Germany’s offshore wind energy problems are only just beginning. German speakers will wish to read and watch report here. North Sea offshore parks could end up being a huge money maelstrom! The failure of retaining bolts led to a nacelle casing falling off an Adwen M5000 turbine at the 60MW Alpha Ventus offshore wind farm in the German North Sea, according to the project’s co-operator EWE. The company said that it is currently unclear why the bolts failed and caused the entire nacelle casing to break off in April. The wind farm operators, which also include Eon and Vattenfall, are now preparing to start work shortly on a replacement campaign. A walk-to-work service operation vessel will be deployed to enable technicians access to the turbine. The technicians are expected to fasten loose parts and then re-energise the machine to position it for an exchange of the rotor star and the nacelle. 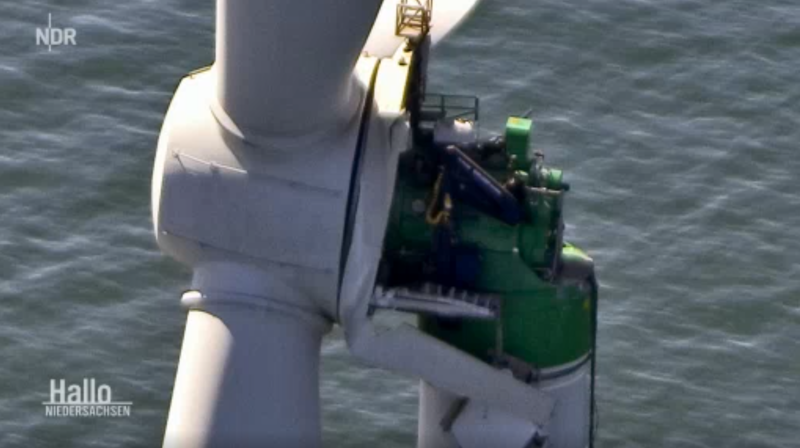 Parts that fell off the turbine will be recovered from the seabed. Once the damaged nacelle reaches Adwen’s facilities in Bremerhaven, the manufacturer will investigate further the reasons behind the fall. It is still unclear when the remaining five Adwen M5000 machines at Alpha Ventus, which are running in idling mode, will resume regular operations. As they start to build these offshore monsters onshore as proposed in parts of Australia can you imagine the devastation should they fail throwing and dropping such huge debris in farmers fields, on roadsides and on top of people passing by!!! And what of the danger to the environment as they disintegrate and cause bushfires and/or smash into forests. Of course there is also the increase health effects as these things emit even more ‘noise’ and vibration throughout our countryside. There is more to dangers from these things than some think and the more they are allowed to install the more the dangers grow. It’s time the powers that be opened their eyes and ears and sought out the truth from those who are not promoting them for their personal financial gain but are more interested in the dangers they pose. You can only be truly educated when you accept and listen to all points of view. When you only listen to one – usually the ‘loudest’ you are only being indoctrinated you are not being educated. Our Politicians appear to have dropped of the education path and lazily settled for indoctrination. The wind industry’s facade has slipped to reveal the inner goings-on. And in a word, it’s ‘ugly’. I’m not amused because we are all being forced to pay for this useless crap. Would be amusing – were it not so serious for negatively affected residents, the environment and economy of so many countries. Still putting more Farms in so I am confused by these stupid decisions. Diesel generators operate every monster when the wind doesn’t blow. Diesel is not clean and green or free. So, we pay through the nose for it.